My csection went great. Much better than my dream the night before, in which everything was going wrong. The anesthesiologist was amazing! And my doc got a cyst removed from a sensitive area while I was already numb, so that’s good. We got bumped back by almost an hour because there was a 34 weeker delivering at my time. 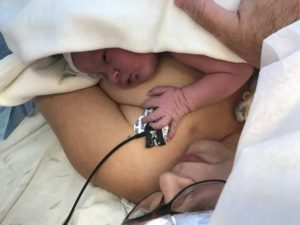 Vaginal, but the NICU team was needed for him/her and they like having them on hand for csections too, so we waited. I haven’t heard yet how that baby is doing, so maybe keep the family in your prayers. They had a designated picture taker for us, and he gots of good ones using my iPhone throughout the entire procedure. I got a few minutes of skin to skin in the OR, which was a first for me and I loved it. I spent 2 hrs in recovery eating ice chips, then got moved up to the mother/baby unit where we’ll be for the rest of our stay. I was a bit dizzy from lack of sleep and quite itchy on my face from the anesthesia, but rest and IV meds took care of those. 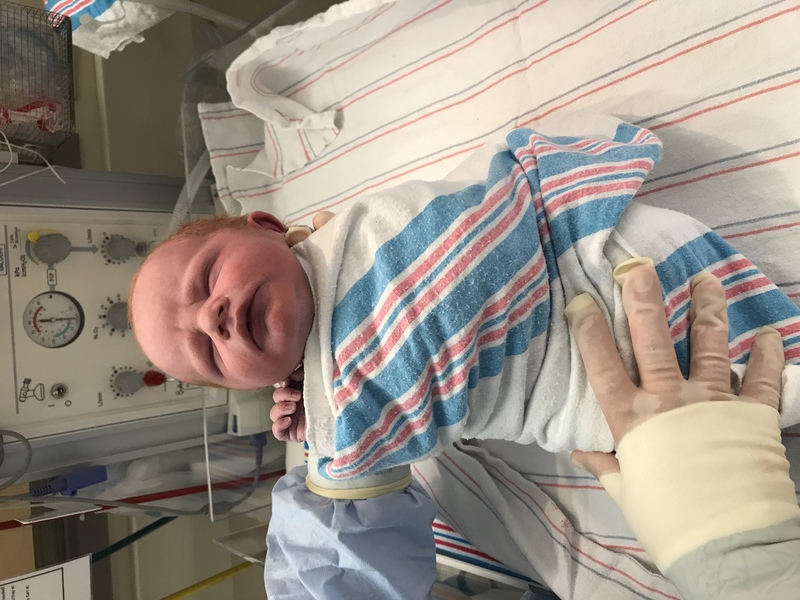 He’s nursed successfully three times now, by just 13 hours old (as I write this at 2:15 a.m.). Weight: 7lbs, 4 oz. He’s the exact middle of my kids in this regard. Several years ago, when we first took the big kids to the eye doctor, Munchkin was diagnosed with an astigmatism. It turns out that this is very minor, and is easily correctable with glasses. He’s worn them since he was 5. Just this year, we let him switch to contacts. It was quite a learning curve for him, but it’s been really good. He’s super happy with them, and now has the benefit of being able to see during dance class and performances when the kids go back next month. His astigmatism is so minor that the eye doctor (a different one than the one who first gave the diagnosis) was comfortable and able to prescribe him “spherical” contact lenses. Seahawk had a different diagnosis, and one that is a bit more unusual. We were told way back then that he is red/green color blind. This doesn’t mean that he doesn’t see in color (as a child version of me thought when she heard “color blind”). It just means that he can’t see certain combinations of colors, and some colors may not look the same to him as they do to a person with regular color vision. 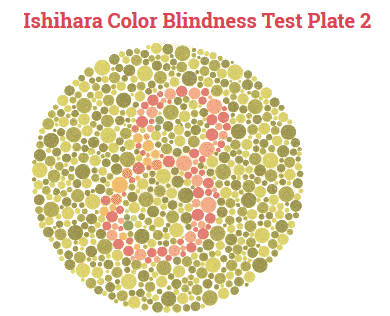 A couple of years ago, I went over the Ishihara Color Blindness Test with him, more for my own curiosity than anything else. In case you’re not familiar, it’s just a series of images. If you can differentiate the designs (mostly numbers) from the background, then you have regular vision. If you can’t, then you’re color blind. Seahawk couldn’t see any of the numbers. I found that absolutely fascinating, because I didn’t have any trouble seeing them at all. I believed him when he said he couldn’t see anything there, but at the same time I couldn’t comprehend it. The numbers all seemed so clear to me! 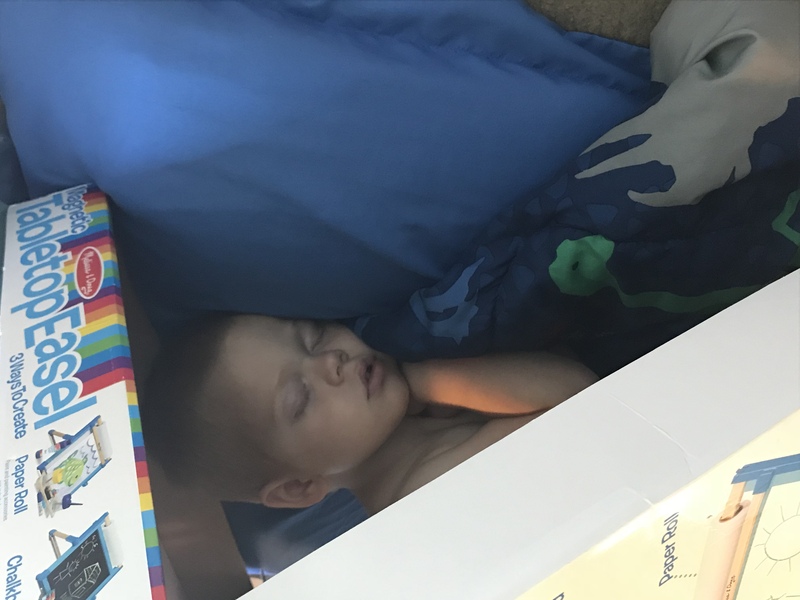 Because this has been such an interesting diagnosis for him, we told people (especially grandparents and other close relatives) right away about it. My dad was the most interested/concerned. He always wanted to be able to do something to help Seahawk see colors better, but what? Grandpa was watching TV one day and saw a piece about how a man had invented a “cure” for color blindness completely by accident. I don’t know the full story, but apparently the guy was trying to invent some other kind of lens and when he gave it to his friend to try out he was told, “It doesn’t work for [that], but these are still amazing! 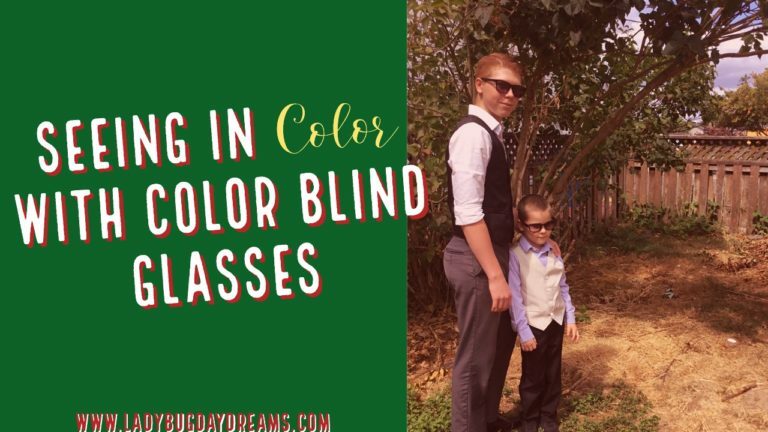 I’m color blind and can see things in a completely different way now.” The inventor had no idea his friend was color blind, so this was quite a shock to him, but he rolled with it and started marketing the glasses. My dad heard about them and immediately decided he wanted to get a pair for Seahawk. It took him a while to save up the money (he’s retired), but he did it, and just a couple of weeks ago brought the glasses to us for Seahawk. He never told Seahawk that he was planning to buy him a pair, or that that was the reason he was coming to visit. (Living two hours away, the visits can be pretty sparse sometimes.) He bought the other kids regular sunglasses on his way so that it would be less “out of the blue” for Seahawk to get a pair. With everyone’s glasses on their faces, we went outside to try them all out. Seahawk took one look at Grandpa’s truck with his new glasses on and was instantly confused. “I thought your truck was purplish…” It’s actually dark blue. For the first time ever, while wearing these glasses, he was able to see the color for what it really was. We all just stood there quietly while he processed what he was seeing, and the moment he did was pretty magical. “Wait a minute… are these color blind glasses? 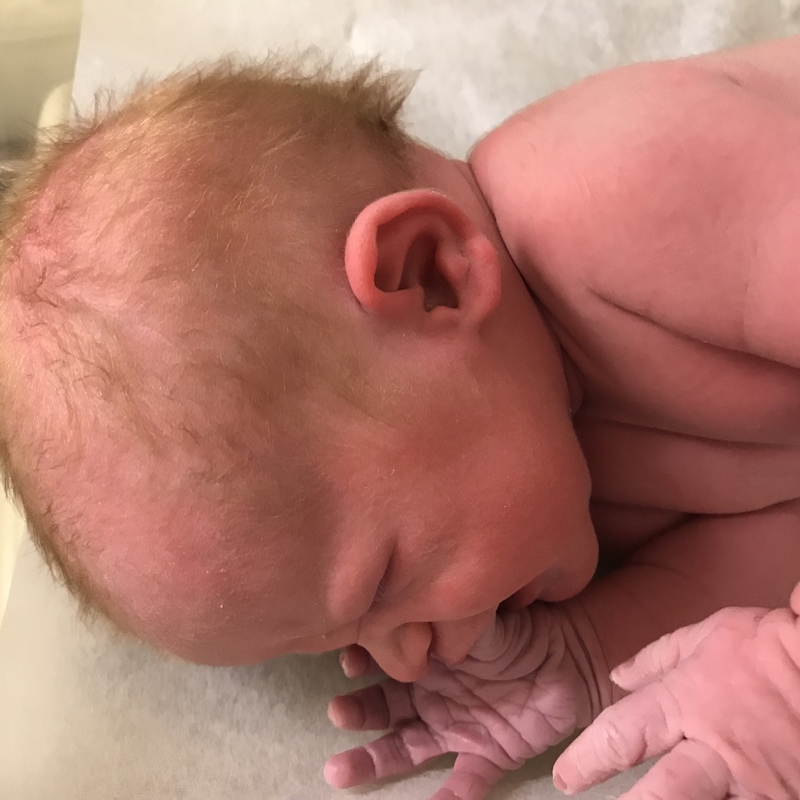 !” He was pretty excited to be able to see true colors for the first time in his life. Seahawk has never been much of a glasses wearer (the eye doctors always say that he could benefit from reading glasses, but I know from experience that he won’t wear them so we don’t get them – the eye doctors are okay with that because his vision isn’t that bad), so he doesn’t wear his color blindness glasses all the time. But there are times when he really wants to see the true colors of things, and he always wears them then. These include activities such as watching movies, going to the duck pond, playing Jumanji (the game uses red/blue “hidden messages” with a decoder), and more. Will and I – and especially my dad – are so glad that Seahawk can now see in true color! 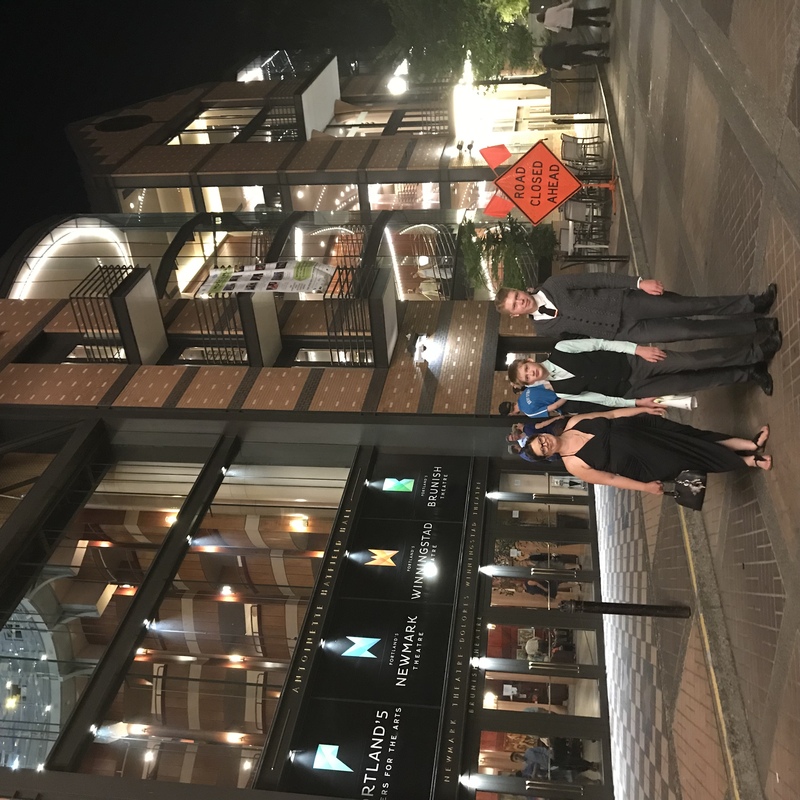 I wrote recently about our trip to see La Cenerentola (Cinderella), and now I want to talk about when we saw Orfeo ed Euridice (or-fay-oh ed yoo-reh-dee-chay). 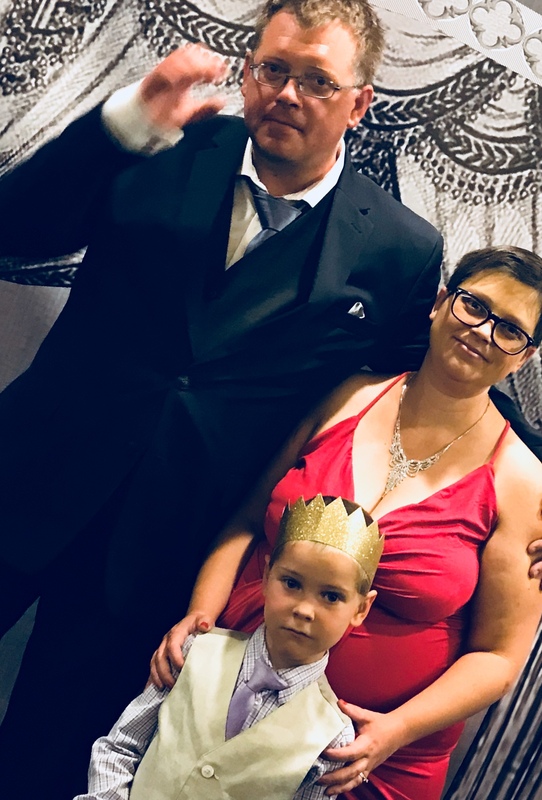 If you read the Cinderella post, you’ll know that we took Small Fry to see that show. For Orfeo, we took the big kids (Seahawk, age 14, and Munchkin, age 11). We thought this would be a great one for them because it was advertised to be a combination opera and ballet, and they dance ballet. The story of Orpheus and Eurydice is one of the oldest on the planet (excluding the Bible), and has been the basis for many, many things over the years. Let me give a short rundown, just in case you’re unfamiliar. Orpheus is a demi-god in mythology (meaning he was the child of one god and one human). He was in love with Eurydice, and on the way to their wedding she gets bitten by a viper and dies. Orpheus, in his anguish, finds favor with the gods and they tell him that they will allow him to go into the underworld and save her. But there’s a catch. There was always a catch with those guys! He’s not allowed to look at her during their trip back. If he succeeds, she will rejoin him in the land of the living and they will have a long and happy life together. If he fails, she will be pulled back to the underworld, essentially dying again. They get all the way back to the opening, and Orpheus, so excited to have made the journey successfully, turns to look at his beloved only to discover that she hadn’t stepped out yet. Because she hadn’t completed the journey fully, she is pulled back to the underworld. This is the basic story that Orfeo tells, but there was a bit of a twist at the end. 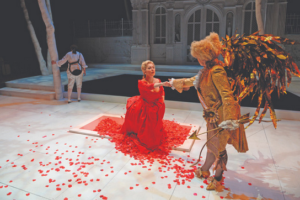 I won’t worry too much about spoilers since the opera is no longer “playing.” After Euridice is pulled back to the underworld, Orfeo sings songs of great sadness and eventually Amor (Cupid) comes to him with good news. Love conquers all, and he has heard Orfeo’s anguish and knows that he is truly in love with Euridice. Therefore he is overriding the other gods and allowing Euridice to rejoin Orfeo back on Earth. 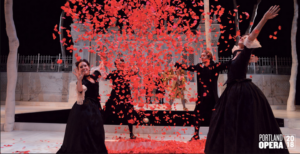 For this opera, we arrived early enough to the theater to participate in the pre-show, where an opera expert gives a short (30-minute) lecture on the play and the composer. It was really interesting, and especially good for the kids to get some background on what they were about to see. They got a bit of history (both fictional, in the history of the story, and fact, in the history of the composer) in addition to just having a better grip on the story before it even started. 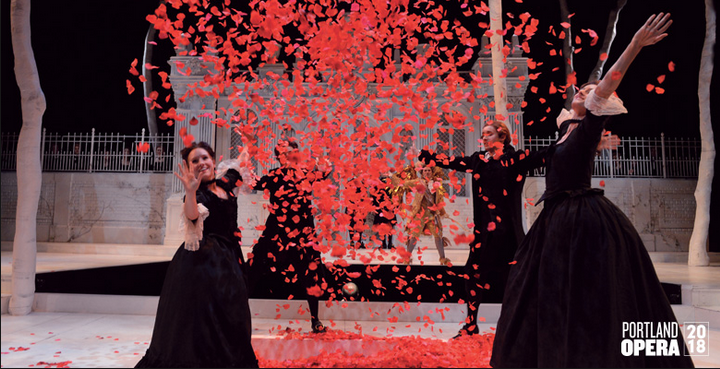 The combination of opera and ballet was stunning, and the sets and costumes were gorgeous. This was one that I wasn’t entirely sure about when I found out that Will had bought tickets, but after having seen it, I’m so glad he did! We both agreed after seeing Italian Girl, Cenerentola, and Orfeo that Orfeo was our second favorite. (Italian Girl still wins in our books, and Cinderella came in third despite being my favorite fairy tale.) The kids loved it too. There are tons of literature opportunities for older students, but not as many for younger ones (outside of reading good books to them, of course). 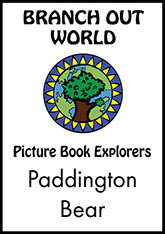 Today I get to review one such option: Paddington Bear from Branch Out World. This unit study is based on the original Paddington picture book, and there are lessons to cover 5 days. It is available as a digital download and does not include the book. There are plenty of options for the book, though: you can likely find it at your library, it’s for sale on Amazon, and there’s even a narrated video for it on YouTube. For many reasons, we weren’t able to access the actual book, so we used the YouTube video (which is about 10 minutes long). The study opens with notes for parents. This includes things such as how to keep and store your child’s work and what will be studied each day, as well as what you need in advance. There’s also a list of additional resources that can be used in conjunction with the picture book (the Paddington sequel, for example). Finally, there’s a comprehensive list of supplies you might need (based on which activities you choose to cover each day), separated by day. After this section, you get to the heart of the study. Each day focuses on one aspect of the story (setting, words, pictures, science, and “crafts and more”). You read the story to your child each day (or in our case, have them watch the video), and then do the activities you’ve chosen. For the first day, where the focus is on the setting, it’s all about map work (physical setting) and making a timeline (the timing of the book). 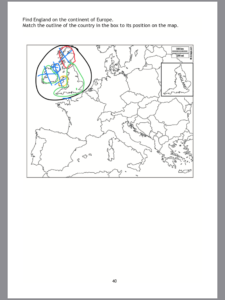 There are printables included for these activities in the appendix of the unit study. As I’ve mentioned before, I don’t have easy access to our printer, so Small Fry and I used the digital versions of these for our studying. 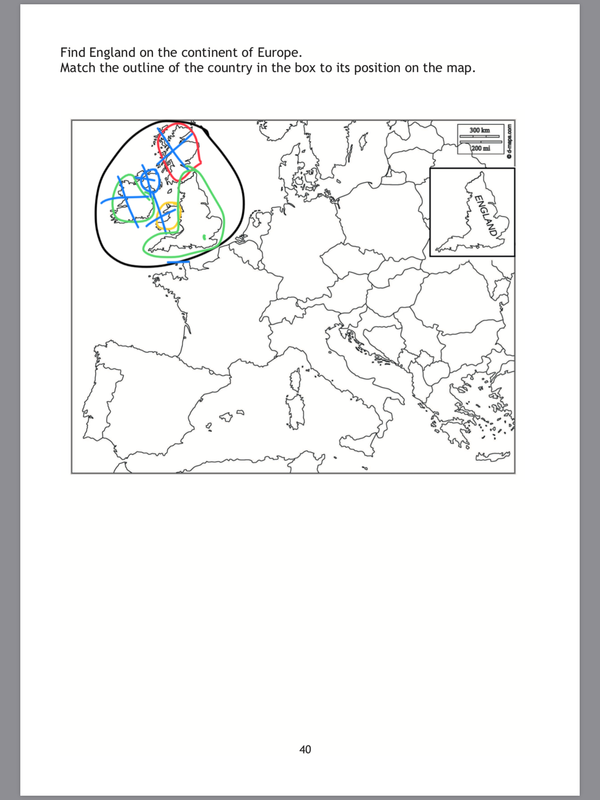 Adding the PDF to my iPad, I utilized the “marking up” feature in order to show him some of the locations of the story on the provided map. Day 2, words, opens with a short biography of author Michael Bond and then moves on to the main themes of the book (primarily helpfulness, which is a great thing to focus on with little kids). There are also instructions for vocabulary and a basic grammar lesson. This was pretty much a discussion day for Small Fry and me. Day 3, pictures, talks about the illustrator and his method of drawing (pen and ink colored with watercolors). 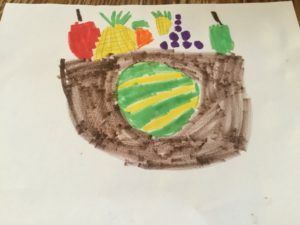 Students are encouraged to create their own still-life of a bowl of fruit using either magazine cutouts or just by drawing. On the science day, there are two experiments. One is edible and the other is not. Because Branch Out World is a British company, some of the necessary elements for these experiments are either unclear (washing liquid, for instance – I’m not sure what that is) or difficult to find in the US (like caster sugar – I know it’s a type of sugar that’s somewhere between granulated and powdered, but I’ve never seen it in the stores here). If you can’t find what you need, though, it’s not the end of the world – there’s also a nature study included that you could do instead. The final day is for math, crafts, and more. Math activities include drawing parallel lines (railroad tracks) and finding the numbers in the pictures, amongst others. Then there are options for art projects and recipes to make together – including Paddington’s favorite, marmalade. We haven’t gotten to those yet. Overall, this has been a very rewarding study for my 6-year-old. He’s enjoyed the activities (even if we stuck to the basic ones like studying the maps and drawing pictures), and it’s been a really good introduction to both unit studies and quality literature. I was initially a bit skeptical (for no good reason, unfortunately), but am glad to have been proven wrong. We really enjoyed working on this together! 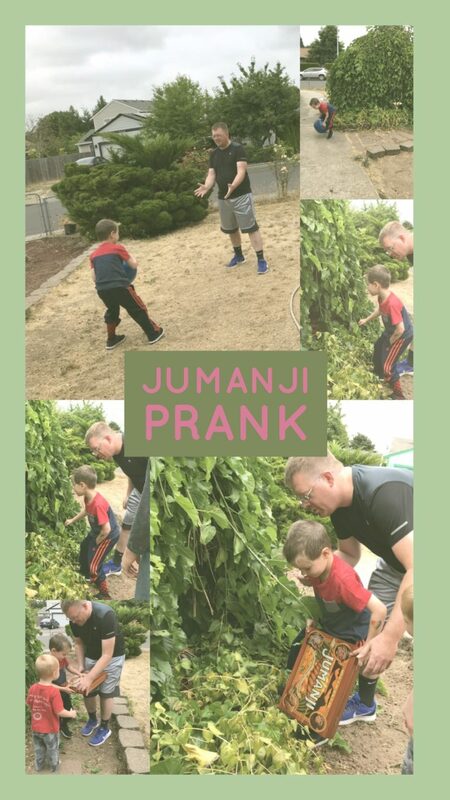 We recently watched the new Jumanji film for family movie night. A couple of days later, we went back and watched the 90s one with Robin Williams. Small Fry (6 years old) absolutely loved them, so Will came up with a clever idea to have some with our son’s new fascination. We would buy a copy of the game (it’s a real thing now!) and hide it in the bushes outside for him to find. 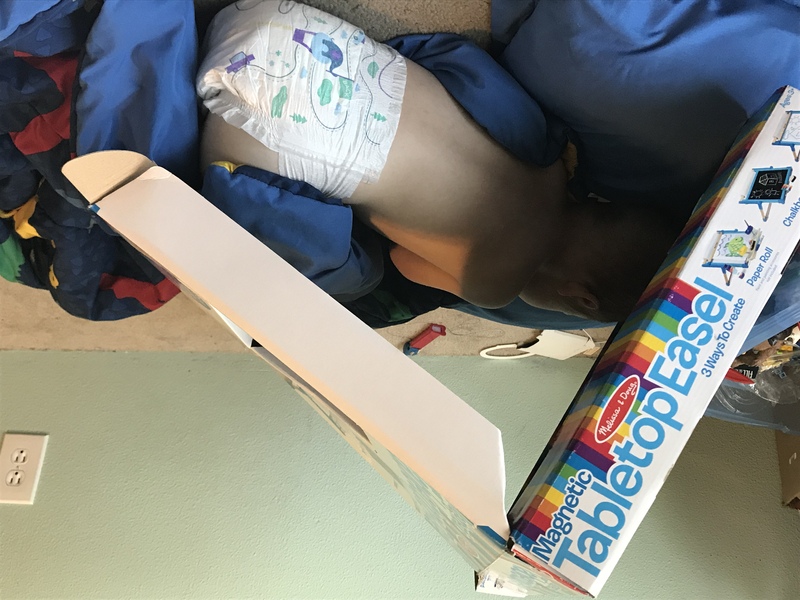 To make the illusion more complete, he found a track of the “Jumanji drums” on YouTube and hid his iPad, playing the music, inside the box. With everything set up, Will took the boys outside to “play catch.” They tossed the ball around for a few minutes, and then Will threw it right to the bush where the game was hidden. It took some coaxing to get Small Fry to notice the drum sounds coming from the bushes, but when he did, he started digging around right away. When he found the game, he was excited – but fooled for one second that it had magically shown up! It’s been about a week and a half now, and Jumanji is definitely his favorite game ever. He asks someone to play it with him almost every day. Luckily he has big brothers and a neighbor friend who are (usually) all too happy to oblige. For my birthday last month (mine is July 3rd and Will’s is July 5th), my husband bought opera tickets for us. He got 5 to each of two shows: La Cenerentola and Orfeo ed Euridice. I was super excited because we’d gone to see The Italian Girl in Algiers two years ago, and we loved it. 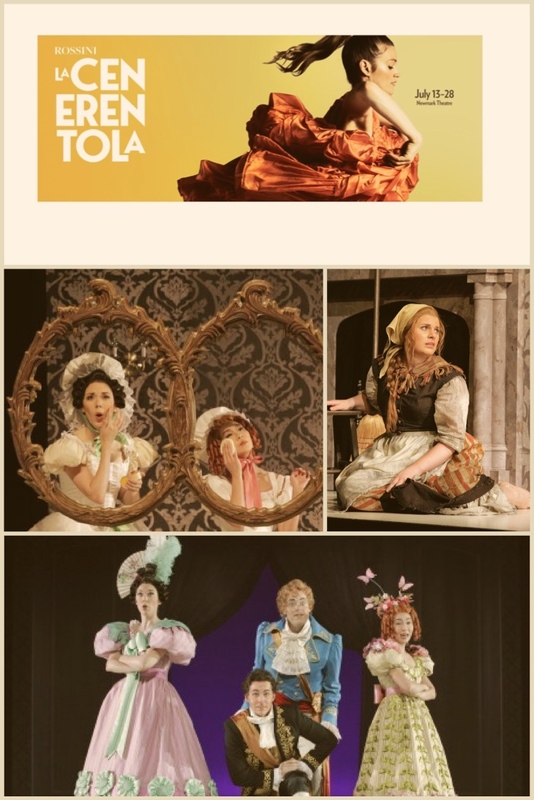 La Cenerentola (chen-eh-ren-tola) is my favorite fairy tale – Cinderella – written by my favorite composer – Gioachino Rossini – so it was sure to be a hit with me. This version of Cinderella has a differences from the “traditional” (read: Disney) story. The main elements are there, but the details are different. For example, there are two stepsisters making Cinderella’s life miserable. But instead of a wicked stepmother helping them along the way, there’s a buffoonish stepfather. Cinderella does get help to aid in her quest for love, but it’s from the prince’s former tutor, a man called Alidoro, rather than a fairy godmother. The final big difference is that Cinderella is identified by a bracelet rather than by her glass slippers. Like in the Disney version, Cinderella doesn’t immediately realize that the man she’s fallen in love with is the prince, but this is because he hides his true identity from her and her family. It’s quite comical watching and hearing the prince and his decoy (one of his henchmen) discuss how over-the-top dramatic the decoy is being. Because we had 5 tickets, we invited some friends from church to go with us. One of them backed out at the last second, so we went with two of them and brought Small Fry as well. It was his first opera, and I’m so glad we took him! 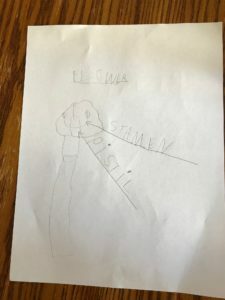 We had the pleasure of reviewing several products from Home School in the Woods just a few months ago. Now, we’ve been blessed with another: one of their Hands-On History Lap-Paks, this time on U.S Elections. When you purchase the Lap-Pak (current price is $18.95 for a family license download; $1 more if you want a physical CD), you’ll receive a ZIP file that needs to be extracted. Once you do that, you’ll see lots of different folders. It can be quite overwhelming to figure out what all’s in there, but my advice is to stick to the folders (as opposed to the web links). All the PDFs you need can be found in those folders fairly easily. The Elections Pak comes with 3 such folders: images, MP3s, and PDFs. The PDFs folder then has three subfolders, but we’ll get to those as we move along here. If it’s your first time using one of the Lap-Paks, the best folder in which to begin is the PDF subfolder “Introduction and Directions.” Here, you’ll find 4 PDFs to help you understand what you’ve gotten yourself into and how all the different pieces (the main project in this unit is a lapbook, if you and your are so inclined to make one) will go together in the end. The next thing to do, especially if you’re going to make the lapbook as prescribed, is to get all the printing done. I have to warn you: Home School in the Woods requires a lot of printing per child. Once you, as the parent/teacher know what’s going on and have all the pieces printed, it’s time to get your kids! The U.S. Elections study is recommended for grades 3-8, so I did it primarily with Munchkin (he just finished 6th grade), but Seahawk listened in a bit too. The last election was so … charged … that they were fairly interested in the process of how that all works and what went into everything that went down almost two years ago. 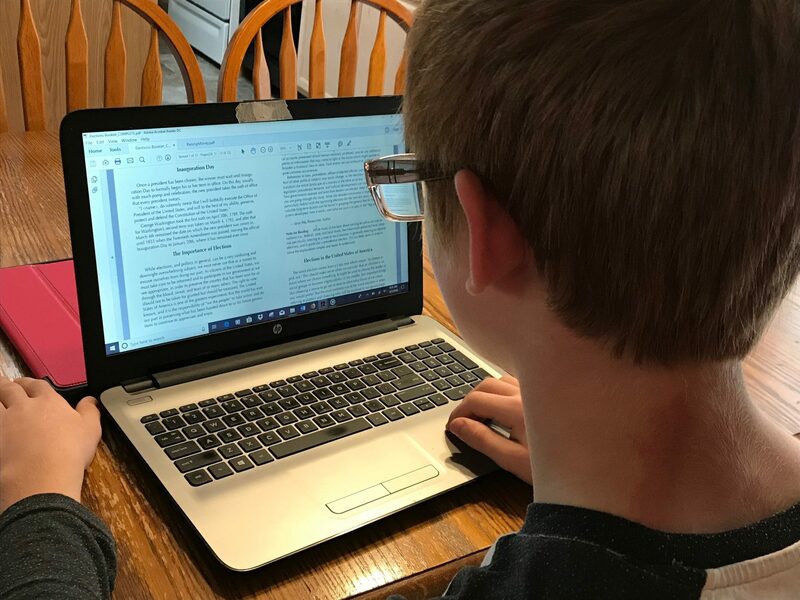 I started by having him read the “Elections Booklet.” As I mentioned in yesterday’s review (science for little kids), I haven’t had easy access to our printer of late, so I just had him read straight from the computer. Likewise, we didn’t do the full lapbook; instead Munchkin did the reading and wrote a little report for me. I wish we’d been able to do the full lapbook because the different pieces look pretty great, but alas that wasn’t in the cards for us this time. I’ll just have to save my files and use it in a couple of years with Small Fry – he’ll be in roughly 3rd grade just in time for the next election. Now that we’ve talked about the PDF folders and how we used them, let’s move on to the MP3s. In this folder, there are 2 files, simply called “U.S. Elections Part 1” and “U.S. Elections Part 2.” If you have a child that is a competent reader – both in reading and comprehension simply by seeing the words – then you probably won’t need these. You see, they’re just a reading of the Elections Booklet I mentioned before. In our case, we didn’t need them because Munchkin is a visual learner (much like myself) and does better with reading than listening. If Seahawk had been doing this study more seriously with us, he’d have used the audio files exclusively. 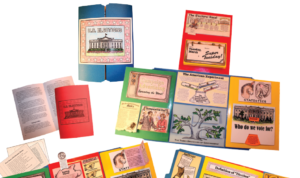 This is a stock image of the lapbook project; it’s not mine. As I mentioned, we weren’t able to do the lapbook, but I wanted to include an image of it anyway. Overall, I think this is a fabulous resource for teaching your children how elections work in the United States. I wish the printing hadn’t been such a burden this time around and we’d been able to do the full lapbook, but despite that, I can be assured that my son learned a lot about the election process just in what we were able to do. 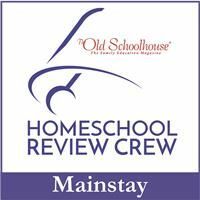 Members of the Homeschool Review Crew are reviewing lots of different items from Home School in the Woods today, including many from their Project Passport series. Speaking of Project Passport, they were able to finish their most recent one early, so the Ancient Rome study is now available for purchase! If you’re studying that time period this school year, definitely check it out! Click the banner below to find out more. It can be quite difficult to continue homeschooling through the summer months, especially if your kids are used to a “traditional” schedule where they get the time off, like mine. 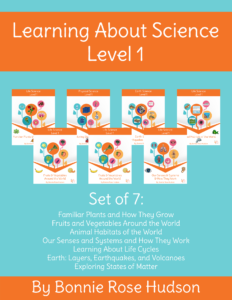 But products like Learning About Science Collection, Level 1 by WriteBonnieRose make it a lot easier. Small Fry (who just turned 6 a few weeks ago) and I have been learning all about plants and animals together using this science curriculum for lower-elementary kids this summer. Because it’s gardening season, we chose to focus first on Familiar Plants. This e-book is 14 pages long (including a cover and copyright page) and a self-contained lesson. 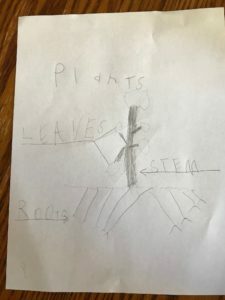 It opens with a basic lesson on what all plants have: stem, leaves, stamen, pistil, flower, fruit, seeds… I read the lesson parts aloud to Small Fry, who soaked up the information like a sponge – or a seed ;). 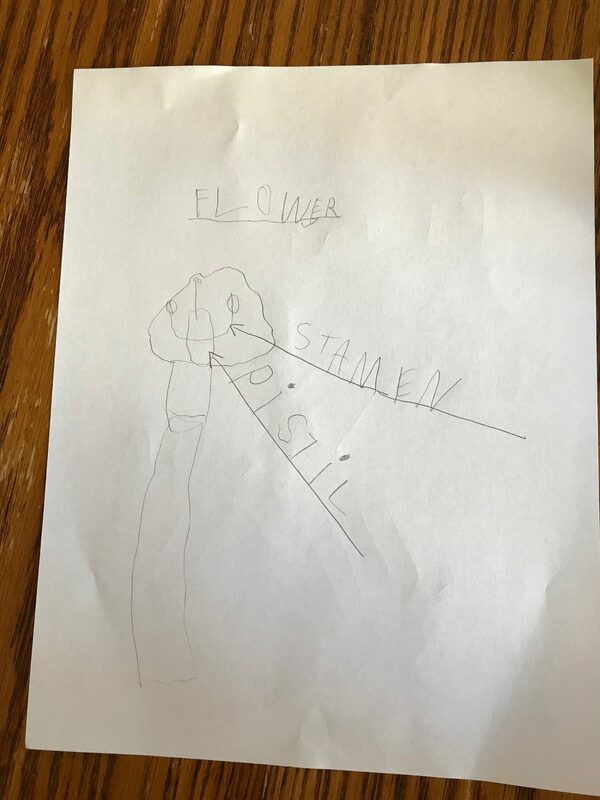 If you print out the pages (I didn’t, just because our printer is in a location that’s not convenient for me to do any printing at this time), there are also words for your child to trace related to the lesson. Instead of working with a printout, I had Small Fry draw his own pictures and label them accordingly. My favorite part of doing this lesson with him were the questions he asked while we worked, most notably “Do plants have to have growing pains too?” This is an especially sore point (pardon the pun) with him right now because his legs have been really achy lately as he’s getting taller. There are also lots of diagrams for coloring and labeling (also using the tracing method). After the lesson, there’s a little quiz – nothing major, just some simple questions that your child can answer with pictures. 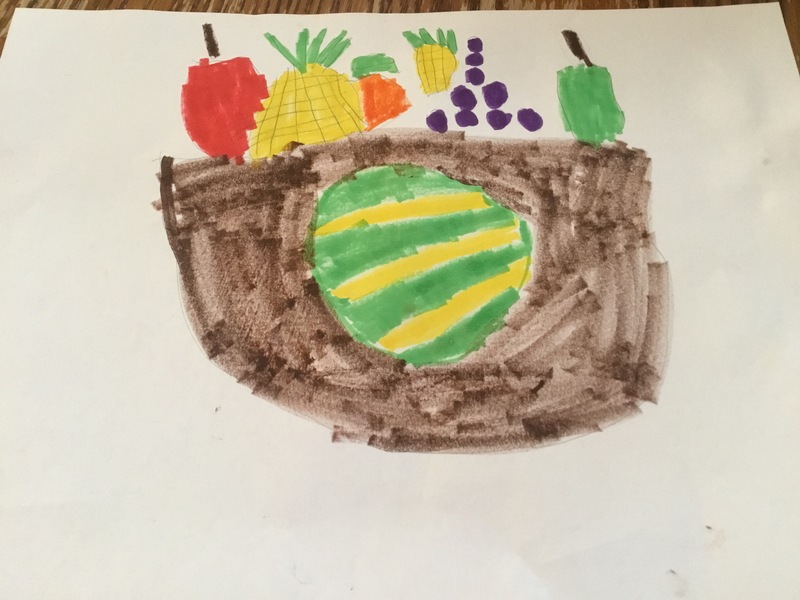 For example, “which of the following is not a plant?” This lesson was so interesting for my son that we finished it all in one day, and moved on a few days later to Fruits and Vegetables Around the World. Fruits and Vegetables is a much longer lesson at 37 pages, but it’s also much simpler. It is separated into fruits and vegetables; they’re not combined. The first page (after cover and copyright) is a list of the fruits written in bubble letters perfect for coloring. The next 14 pages have pictures and a short paragraph about each of the fruits in alphabetical order. There is also a tracing area for the names of the fruits, and the pictures are line drawings that can be colored. In the middle of the book is the list of vegetables, and then the book repeats using vegetables instead of fruits. The last few pages, like in the Plants book, is a review/quiz and parent answer key. Even though we didn’t get to them, I looked over a couple of the other lessons so I can be prepared when we hit official “back to school time” later this year. Animal Habitats is a 51-page ebook that runs a very similar format to Fruits and Vegetables, but instead of separating into fruits vs vegetables, it’s organized by type of habitat. For example, the African Savannah animals are listed together (lions, giraffes, elephants, wild African dogs, etc). If I counted correctly (there’s no table of contents), there are 16 different habitats covered, including some that you wouldn’t necessarily think of like Farms and Pets. Senses and Systems covers exactly what you think it might: the 5 senses in humans and the main systems in our bodies. This one is 19 pages, and a lot of learning (reading) with fewer pictures. There is at least one image for each section, but it’s not quite as graphical as the others I looked into. This doesn’t mean it isn’t as good, though! 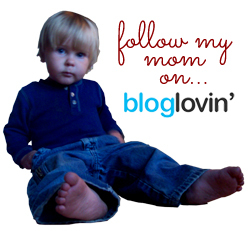 There’s a lot of information covered, so it’s one that you would want to take a little slower with your child. I think when we do it, I’ll cover just one sense or system each day with plenty of review in between. We really enjoyed the lessons that we did, and when we start up school again in October (we’re taking an extra month off this summer due to the arrival of our new baby at the end of this month), I can totally see us using more of these lessons. They’re really fun for the early elementary crowd! For the next 2 weeks, through August 15, 2018, use coupon code REVIEWCREW50 and you can get any of the science ebook bundles (any level) for half price. For Level 1, that’s 7 books for just $6! Kids love music. I’ve never met one who didn’t. But the mainstream stations aren’t always appropriate for them. 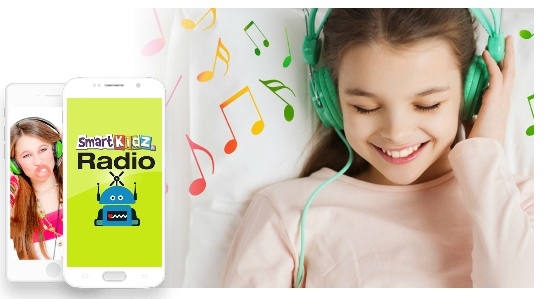 To respond to this need, Smart Kidz Media has developed an online radio station for kids called Smart Kidz Radio. 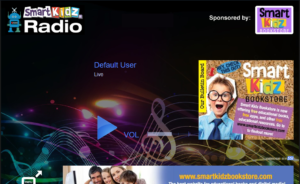 At the time of this post, the live portion of Smart Kidz Radio is available for free, but you do need to sign up for an account. There are absolutely no hidden fees included – you only need an email address and a password, no credit card. The “on demand” service, which costs $3.99 per month, has over 1,000 original songs available covering a variety of topics for kids ages 1 and up. 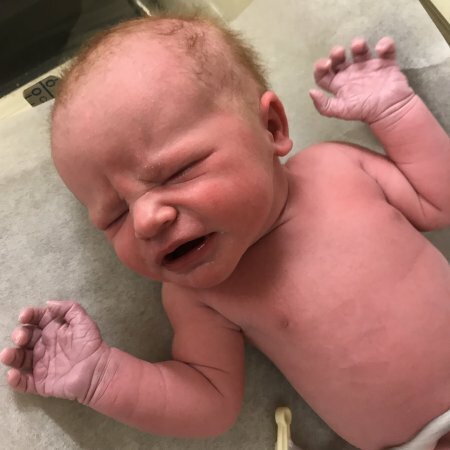 Some of the categories are listed as “all ages.” The on demand includes such topics as life skills, survival skills, bedtime songs, and even baby sign language. Dubbed “edutainment,” this radio station definitely delivers on that promise. The songs are good for young kids, roughly lower elementary school age, and the station is ad-free. There are times during the live feed that the songs repeat, but it’s not really a problem; regular radio stations do that too. In fact, one might argue that it’s a good thing as repetition can help kids learn the songs. 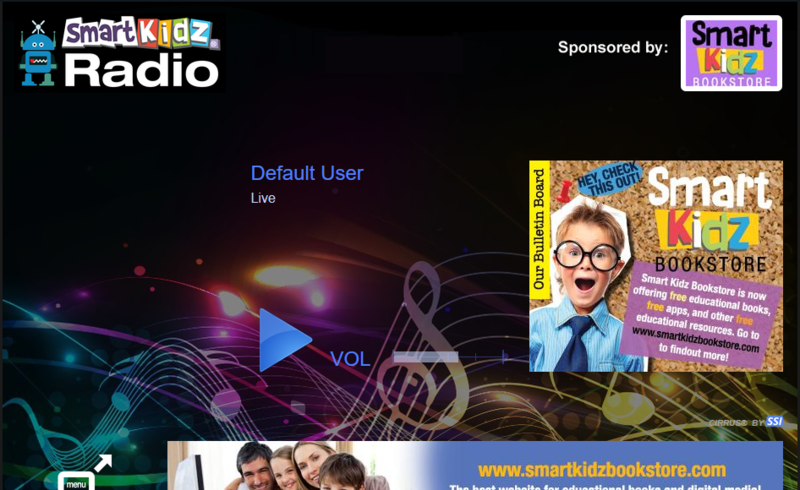 By learning the songs on the Smart Kidz Radio station, they learn lessons.